Fortunately, I found a beach towel in the trunk of my car. I wrapped it around myself and sat on the top row of the bleachers, thankful for the seat cushion I splurged on at the Puyallup Fair a few years ago. 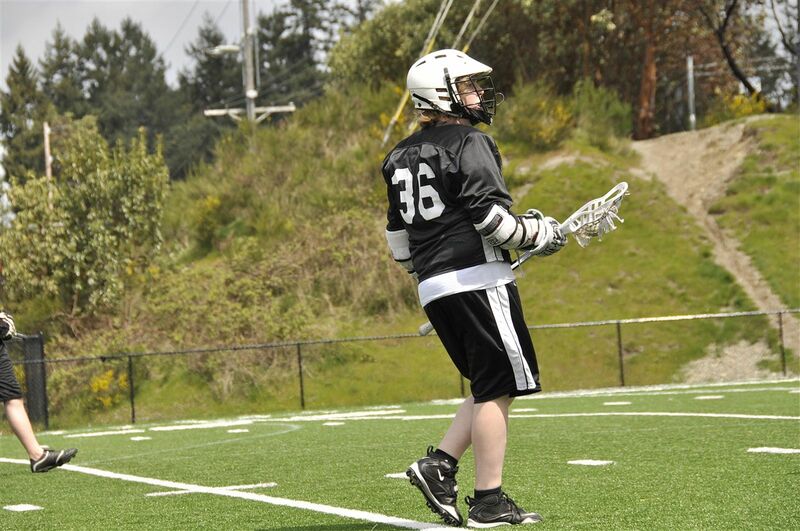 My boy’s team had a lacrosse game against their rivals, a team they’d lost to awhile back. Time for revenge. The first quarter, the other team scored a lot. My boy didn’t play at all. The second quarter, our team scored some, but we were still behind. My boy played one play. The third quarter, the score got closer. The fourth quarter came and went and our team lost. I think the score was 11-9, but they turned off the scoreboard so fast I didn’t get a chance to double-check. But I do know this. My boy didn’t play during the fourth quarter, either. He was put into the game for maybe a total of two minutes. I texted my husband and kept him apprised of the scored. I also mentioned that I thought it was rotten that my boy didn’t get to play much at all. My husband explained about upperclassmen and sophomores and fairness and said our boy would learn from this and that he’d understand. But I didn’t understand myself. Not really. As we walked toward the car in the dark parking lot, my boy didn’t seem very understanding. In fact, he did a rather unflattering (but amusing) imitation of one of the coaches. It just seems to me that if you go to every practice and work hard and sacrifice four nights during the week and one day every weekend that you should get to play in the actual game. (My boy actually scored two goals in each of the last two games, too, so it’s not unreasonable, in my mind.) I kept these thoughts mostly to myself, of course. But still. But you have to admit, my friends, that this is a perfect illustration of why books are better than sports. I have coaches now in my family, so they try to explain it too me. Nevertheless, I still don’t get it. And on another note, books don’t give one piles of dirty, sweaty laundry. I understand it, but it’s still really hard to watch them not play. We’ve been through this many times in many sports. Hang in there. And that is why my nephew switched from basketball to volleyball in high school. Sports are political games, to some degree.